After the Talk Green to Me presentation by Edwin Marty, Austin’s first Food Policy Manager, at the Austin Central Library, I walked around the Seaholm EcoDistrict and toward Austin City Hall to see some of the new sustainable developments and initiatives in the area. 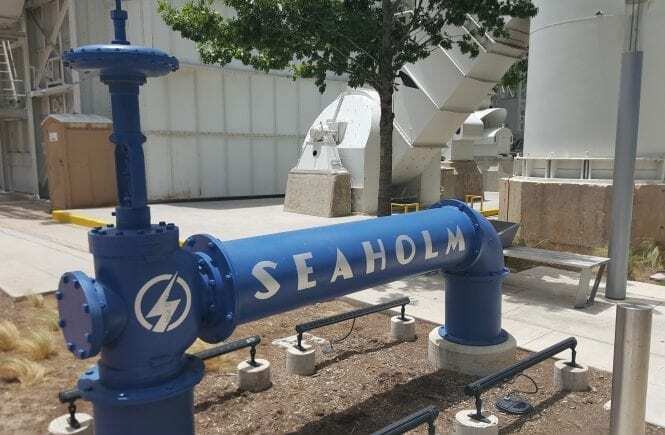 “The iconic Seaholm Power Plant lends its name to the entire Seaholm EcoDistrict and symbolizes the revitalization of this prominent area in the heart of downtown Austin. After the power plant was decommissioned in 1989, the property was designated as a brownfield site and was considered too contaminated for use. 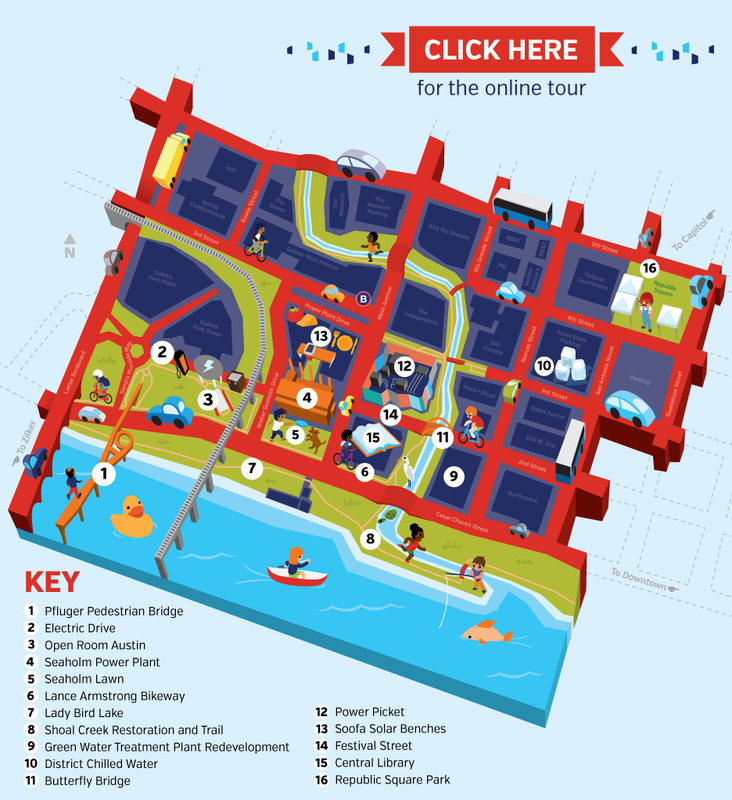 Between 1997 and 2003, significant investment was devoted to cleaning up the historic site, and in 2005 a public-private partnership was formed to redevelop the building using green design and construction practices. While I was house-sitting for my grandparents in Bastrop, Texas, I planned excursions into Austin to see some sights and attend some public talks. 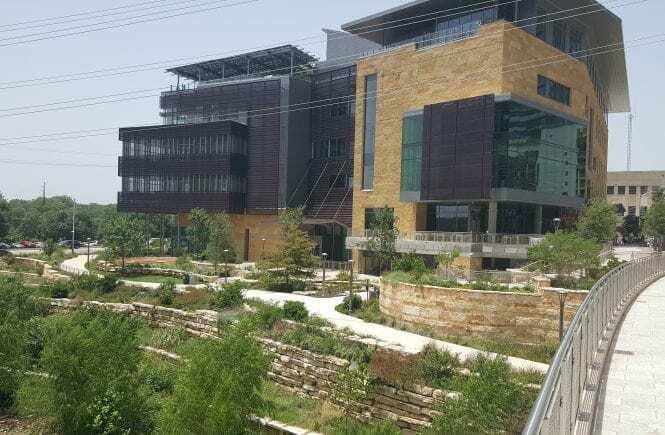 My first public talk was at the new Austin Central Library as part the “Talk Green to Me: Sustainable Living Series,” a collaboration between the library, the Austin Office of Sustainability, and several other organizations speaking in the series. This was first talk I attended in the series, which was presented by Edwin Marty, Austin’s Food Policy Manager, discussing about the State of Austin’s Food System. 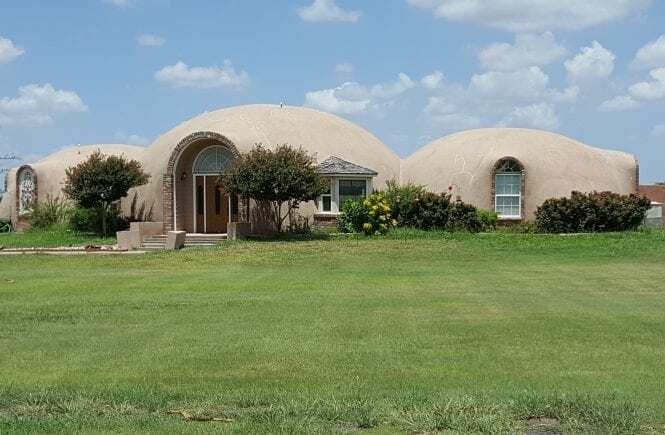 My two week adventure to Austin started with a stop at the Monolithic Dome Institute’s Dome Research Park in Italy, Texas. As a kid, I would always travel by Bruco, the giant dome caterpillar, on our family trips to visit my grandparents before they lost their home to one of the Texas fires several years ago. So this was the first time I actually pulled off the highway and took a look at the actual domes and houses that made up this unique dome community!